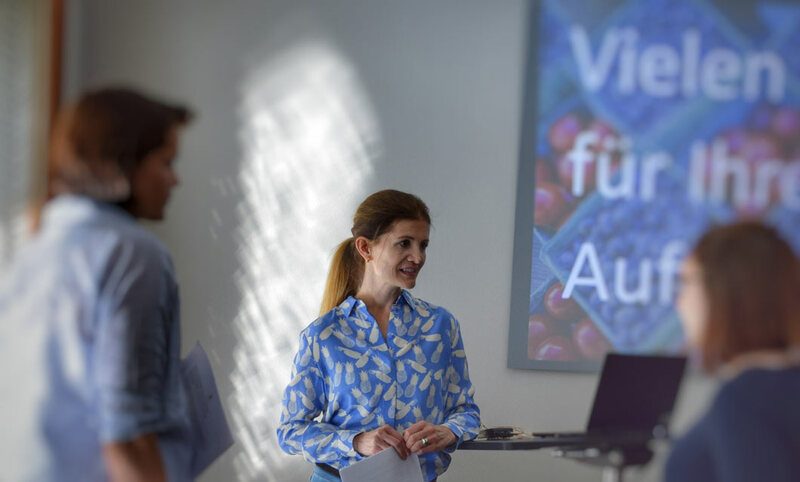 I give tailored talks in German on nutrition-related topics that can be tailored to meet the needs and preferences of you and your target group. I cover areas like healthy eating in day-to-day life in a non-dogmatic, food-friendly, and achievable way. Talks feature the latest research from the field of nutritional science. Regular talks and workshops on nutrition and healthy lifestyles are an important part of a company health management programme. As an employer you can make a valuable contribution to the work-life balance of your employees. Contact me on +49 179 39 96 358 or info@ernaehrung-muc.de for a personalised quote. Are you interested in one-to-one nutritional therapy? For a request via my contact form please fill in all mandatory fields, marked with a star *. Please also note our instructions for handling your data privacy. Mit Klick auf die Checkbox erklären Sie sich mit der Erhebung, Speicherung und Nutzung der im Formular eingegebenen Daten zum Zweck der Kontaktaufnahme einverstanden. Diese Einwilligung kann jederzeit mit Wirkung für die Zukunft durch Senden einer Email an info@ernaehrung-muc.de widerrufen werden. Weitere Hinweise zum Umgang mit Ihren Daten finden Sie in unseren Datenschutzhinweisen. Please contact me for a free initial consultation.